← Game theory to reduce GHG’s? Geoengineering: Fertilizing oceans is BS! It seems that the geoengineering ideas are heading for the crapper where all good BS should go. Yesterday Newsweek reported that geoengineering in general was a bad idea and could cause more problems than it would solve, today we get an item from Reuters titled “Fertilizing oceans seen fruitless in climate fight.” Amazingly, even the UN is on this one as being a bad idea. Fertilizing the oceans to boost the growth of tiny plants that soak up greenhouse gases is unlikely to work as a way to slow climate change, a U.N.-backed study showed on Monday. Such “geo-engineering” schemes would be hard to monitor and were likely to store away only small amounts of carbon dioxide, the main greenhouse gas, according to a report by the Intergovernmental Oceanographic Commission. “Geo-engineering schemes involving ocean fertilization to affect climate have a low chance of success,” according to the 20-page study by the Commission, part of the U.N. Education, Scientific and Cultural Organization (UNESCO). It sounds to me like science needs to stop the geoengineering crap that appears to be pushed by big business who stand to make billions from the idea and look elsewhere so solutions to the non-existent anthropogenic global warming problem. At least the UN comes up with something honest once in awhile. Less CO2 Insanity is nice for a change. 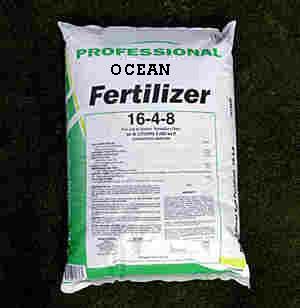 Comments Off on Geoengineering: Fertilizing oceans is BS!